Today I'm so excited to introduce you to a new blogger/Instagram friend. I found Wendy's Instagram feed a few weeks ago and was instantly smitten. It will only take a second for you to see why. Wendy's home is beautiful yet family and pet friendly. She splashes around color with ease and her accessories span decades of time. I could sit and look at these all day long. Wendy just started her blog Life On the Shady Grove last week. God made them and to help them make their house a home they love." The About Me page on her blog is one of the best I've ever read. could come right in, have a Diet Coke, and be a girlfriend for years to come. Let me just say that anyone with those red drapes can be my friend. There are so many pictures I'd love to share with you from her blog but don't want to steal her show. 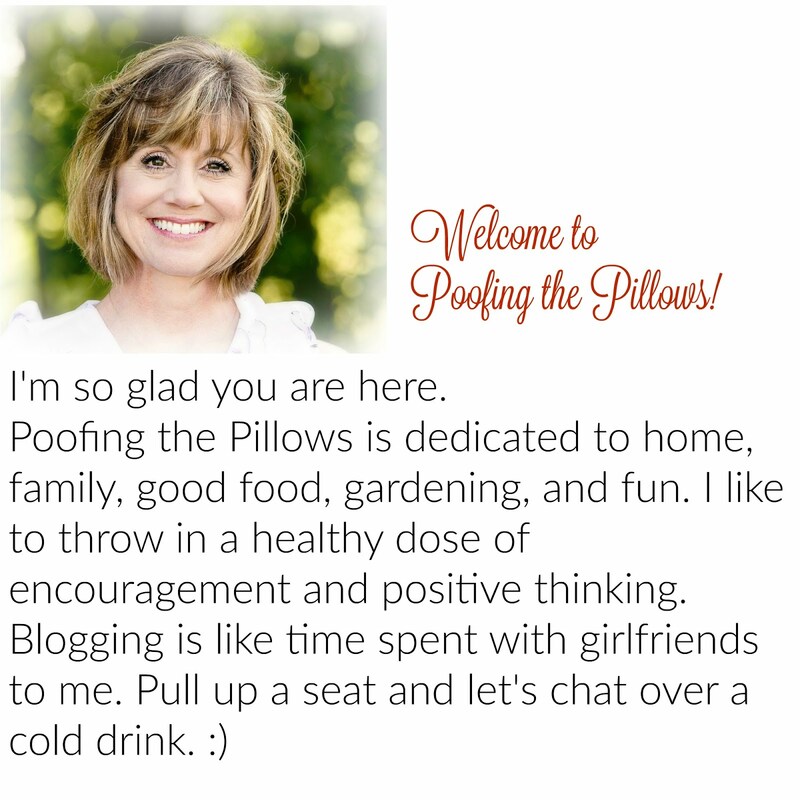 Please go over and welcome Wendy to the blogging world. If you'd rather follow on Instagram you can click here for that beautiful feed. She had me with those red curtains, too! ;) Thanks for sharing, Stacey, off to visit her now! What an adorable home! I love that quote also. Thanks for sharing, Stacey - I think Wendy will be getting a lot of company! Thanks for sharing! It's always nice to find new friends via Blogland. Thanks for your visit also! I'm a friend of Wendy's...her home reflects her heart💗beautiful, warm, and peaceful! Thanks for sharing, Stacey! Headed over to visit! Hi Stacey. I saw your link on Pinterest and clicked to come here and catch up with you, which I plan on doing, but I really enjoyed your new friends blog too. Thanks for sharing her with us. Now I'm going to do some reading about you. I just made my first visit to your blog, thanks to your invitation in our comments section. I will definitely be back. There's a lot to catch up on here. Stacey, thanks for letting me know about this new blog. You knew I would love it! I am heading over there now to introduce myself! Oh how lovely! I will tootle on over for a visit! Red always speaks to me! :) Thanks for sharing...looks like a simply gorgeous home. You KNOW I'm on my way to see a home with red curtains!!! Wow...love her decorating style! Thanks for introducing us to your friend! Absolutely charming, Stacey. Thanks for the wonderful review....she sounds lovely! Hope you get some rain soon. You can have some of ours. Ha. yep, those red curtains pulled me in too! What a beautiful home and thanks for sharing her blog with us. I'm going to hop right on over there! Oh I love the pics that you've shared! I will be sure to head over and check out her new blog. She sounds like a sweet and caring person as well! What a fabulous home!...thanks for the introduction and hopping over there now! Her home looks lovely, I'll definatly be popping over. You captured the beauty of light! Do I have to say that the house is magnificently beautiful? No need, it speaks itself^^ seriously, love is spoken here! Hi Stacey, thank you for sharing this new blog. Love the pics and going over to say hello. Stacey- thank you so much for your comment and encouragement. I hope to get back into the swing of things little by little. what a great profile/about me message. Thank you for introducing me to this special and inviting blog. I enjoyed my time there and can totally see why those red drapes would be a favorite of yours. Blogging expands our worlds and helps us to meet people like you and her, and many other wonderful, caring people. Thanks again for sharing your great blog find. Stacey, thank you so much for the introduction, I'll head over and see her right away! She has a beautiful home! Wendy's home is beautiful. I'm in love with the blue open shelves in her kitchen. Thanks for the introduction. Thanks for sharing this and your simple moments throughout your day...it relaxes me! enjoy the rest of your week! She has a lovely blog and i tried to comment but it wouldnt let me... Had to be on wordpress or something? Also wouldnt let me follow her...but i did try to welcome her to our fun blogging community!